The beginnings of community theatre in the U.S. are not well recorded. No one seems to have been conscious at that time that it was a cultural “movement” which needed to be set down for posterity. In fact, even the name “community theatre” took some time to evolve. The movement has been called “art theatre,” “little theatre,” “amateur theatre,” and even “tributary theatre.” “Community theatre” was coined by Louise Burleigh in 1917. We know there were amateur theatricals during the Colonial and Revolutionary War times, and that the Mormons founded the Deseret Theatre around 1850. In 1874 two groups were founded: the Aurora Drama Guild in Illinois and the Concord Players in Massachusetts (by Louisa May Alcott). In 1877, the Footlight Club was founded in Jamaica Plain, Massachusetts and has been declared by AACT to be the oldest continuously producing community theatre in the U.S. In the Prescott area, the Prescott Center for the Arts (PCA) is the true community theatre experience. There are more than 2,000 community volunteers helping to create art locally for the community, as actors, directors, costumers and much more. Even though Prescott is considered rural, there are a surprising variety of local venues supporting community theatre. 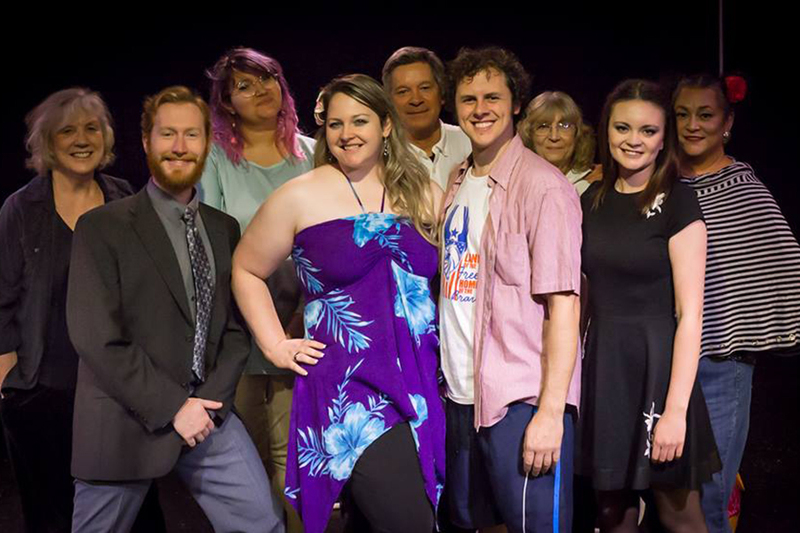 PCA remains the oldest and most prolific community theatre in Prescott; a genuine brick-and-mortar theatre providing entertainment to over 100,000 people yearly for the past 50 years. From the fireside storytelling days of cavemen to modern day, fast-paced CGI movies, community theatre has always played a role in human society. According to Kevin Brown of The TCG Circle 2014, a theatre and community blog, theatre is still important in the twenty-first century for 10 reasons. Human beings are the only animal species that creates theatre. Understanding theatre, therefore, helps us understand what it means to be human. Rather than learning history from reading it in a dusty textbook, theatre makes history come alive right before our eyes. Theatre reminds us that, even in this ever-changing digital age, there is a human body at the center of every digital transaction. Theatre helps us understand people from cultures other than our own. In doing so, we can learn to be less ethnocentric and more accepting of others. Power relationships are constructed through performance. Therefore, understanding how performances unfold around us can help us to recognize and take control of the power dynamics that affect us. Theatre has long been looked at as a laboratory in which we can study the problems that confront society and attempt to solve those problems. Going to the theatre teaches us about people, places, and ideas to which we would not otherwise be exposed. Learning in a theatrical setting makes learning more fun and engaging. PCA offers over 20 productions yearly. This year’s theme is “Engage! Enrich! Enjoy!” From the musical Guys and Dolls to A Streetcar Named Desire, there are productions to meet everyone’s taste. Check out pca-az.net for additional information on purchasing tickets, education, and volunteering opportunities. Thank you for supporting community theatre.